We had tickets for Backyard Cinema this evening, which is conveniently located in Mercato Metropolitano, so we headed there beforehand for dinner. We ordered the raclette cheese from Champagne + Fromage along with a glass of the champagne of the day. The cheese had a delicious sweet flavour and came topped on potato wedges. 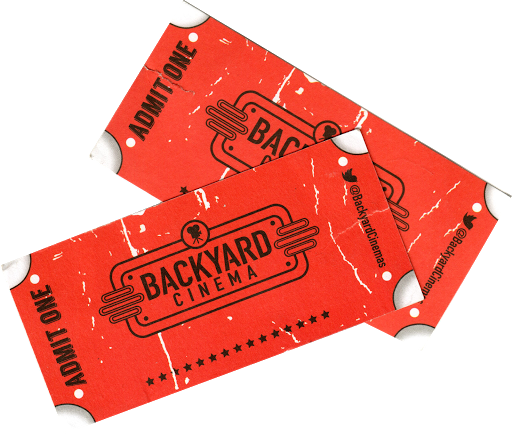 It was then time for the movie and Backyard Cinema's current theme is Mission To Mars. We picked up our tickets and then made our way through security, where we were scanned by a lazer before "riding" a shuttle train to the spaceship. The cinema was decorated like a spaceship with comfy beanbags on the floor and a command centre at the front. We got a Martian Mai-Tai and Stargarita from the bar before taking our seats. The "in-flight entertainment" was Black Panther and just before the film, a pilot came out and picked Tom out of the crowd as his co-pilot to launch the mission.